This is one of those photographs that may not be beautiful to anyone but me. This is a stack of clean cloth diapers on our dresser. 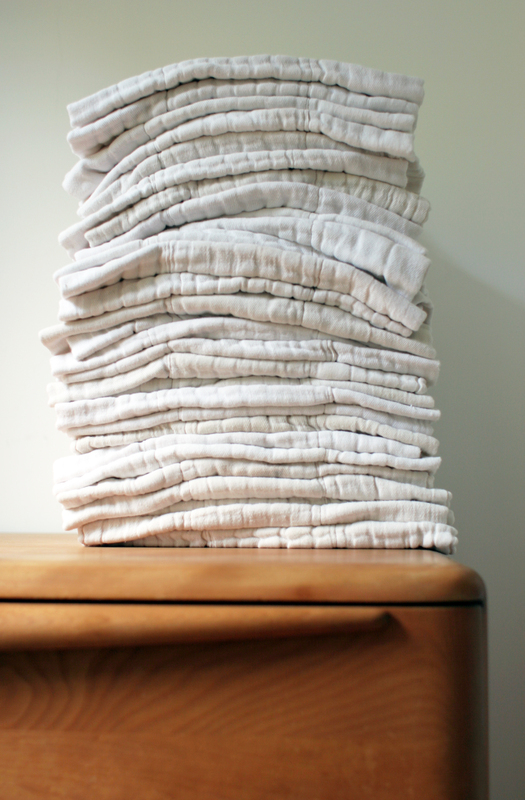 We can see this stack from our bed and it makes me feel happy when the stack is high and neatly folded. It feels like a full pantry to me, like having supplies on hand. 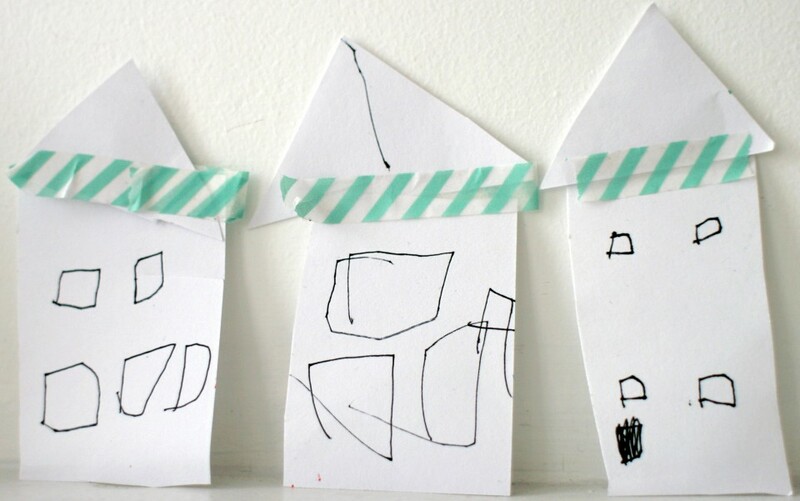 We have used these for both kids and the routine of washing and drying has become second nature to us. My sister just had a baby girl and I was reminded of how many questions we had – about diapers and sleep and feeding when Ada was born. It is strange how stressed out the tiny details can make you at first, and then those details become the daily routine. And then the routine turns into years and the details are blended into the memories. I wonder what I will remember about the early days with children when I am an old woman. I know I will remember the smell of a new baby head, and how Ada looked curled up against Chris as she slept. I bet I will remember the stack of diapers. I felt so guilty every time I put my daughter’s diaper in a plastic bag, then into the garbage. I always wondered what will happen to this? I remembered being a kid and everyone used cloth diapers. Cloth diapers are what this planet needs. Good for you! I support 100%!!!! Beautifully written and heart warming! Love you Jeaane! I remember feeling the same way 24 years ago when I still had a baby in dispers. At that times Sears made the best cloth diapers. Thanks for sharing. sigh. i totally know how you feel. my one year old has been in disposables for a few months, and i’m thinking about switching her back to cloth until she potty trains. those diapers really can be comforting, as strange as it sounds to some people. We were a bit intimidated when we started, but now it seems simple. I use Dr. Bronner’s soap to squirt on stains before washing and the peppermint scent keeps the pail smelling fresh.